Alcoholics Anonymous is a fellowship designed and administered by a bunch of drunks whose only qualification for membership is that they can’t hold their liquor and don’t want to learn how. It has no rules, dues, or fees, not anything that any sensible organization seems to require. At meetings, the speakers start on one subject and end up talking about something entirely different, concluding by saying “I don’t really know anything about the program except that it works”. The groups are always broke but always seem to have money, they are always losing members, but always seem to grow, they claim AA is a selfish program but always seem to be doing things for others. Every group sets laws, rules, edicts and pronouncements which everyone blithely ignores. Members who disagree with anything are privileged to walk out with a hug only to return as if nothing had happened, and to be greeted accordingly. Nothing is planned more than 24 hours ahead yet great projects are born and survive magnificently, nothing in AA is according to Hoyle. How can it survive? Perhaps it is because we have learned to laugh at ourselves. God made man…He made laughter too. Perhaps He is pleased with our efforts and makes everything right no matter who pushes the wrong buttons. Maybe He is pleased not with our perfections but with our sincerity; maybe He is pleased because we are trying to be nobody but ourselves. We don’t know how, but it works; and members keep receiving their dividend checks daily from their AA investment. 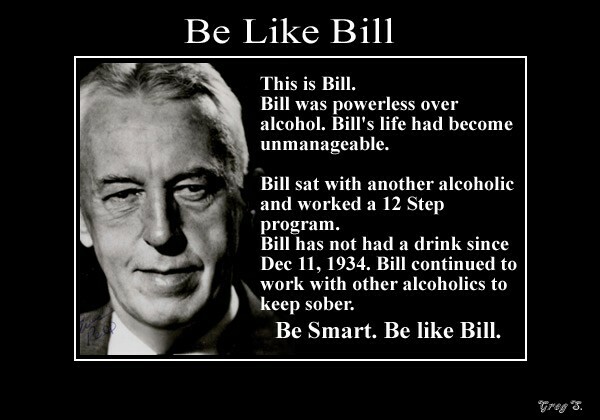 Yes…IT’S SMART TO STAY SOBER!